This September, Go Gold for Children with Cancer - Cancer Fit Inc. When it comes to cancer awareness, the month that immediately comes to most people’s minds is October. When it comes to cancer awareness, the month that immediately comes to most people’s minds is October. A wave of pink washes over grocery store shelves, TV and social media; professional athletes don pink towels, wristbands and cleats. But an equally important month is just around the corner, one that is dedicated to a disease that takes the lives of 100,000 children every year and plagues those who survive: childhood cancer. 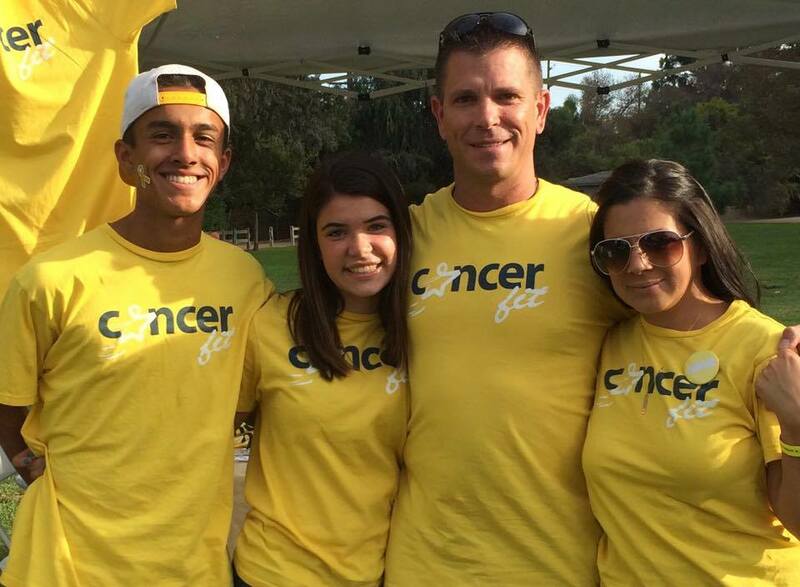 As a family who has been personally affected by cancer, we founded the nonprofit organization Cancer Fit to be a voice for childhood cancer patients and their families. We know that once cancer treatment ends, the battle is just beginning. Childhood cancer survivors face a precarious future: many suffer long-term consequences of treatment, such as memory loss, fatigue and depression. Others will experience secondary cancers, cognitive and physical impairments or, worse, a relapse of their cancer. We hope that this September, we can raise awareness about the impact of childhood cancer. We hope that this September, each of you reading this will don the color gold and be a champion for childhood cancer survivors and their families. Childhood cancer is a long-term fight. Parents of a child with cancer must contend with round-the-clock medical appointments, treatments and the responsibility of caring for their other children. Once treatment ends, a new and difficult journey begins. Families try to establish a normal life, often with limited help; many parents experience a drop in support once treatment ends, leaving them with few resources as they try to readjust to their post-cancer life. At Cancer Fit, we help childhood cancer survivors and their families overcome the unique challenges of survivorship. Our free fitness and wellness programs help children beat the devastating physical and emotional side effects of cancer treatment and encourage them to develop long-term exercise habits to safeguard their health. Our services include Exercise Assistance Scholarships, an MVP Draft program, Sibling Activity Scholarships, and others that strengthen the individual and the community that surrounds them – for life. Please join us this September, and beyond, as we fight childhood cancers and support the survivors who need us.